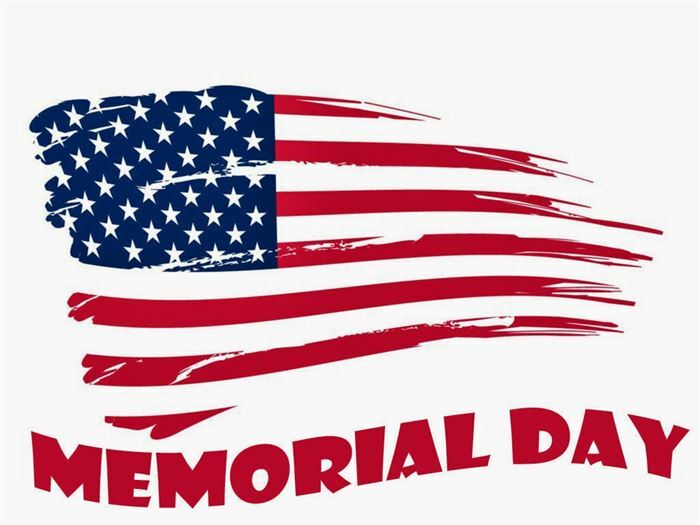 Memorial Day: To Celebrate on Sunday or Monday? How shall we honor the fallen and our veterans? Patriotism and with it, nationalism are problematic words for they carry at least two meanings and several sides to the story of our democracy. We need only look to Frederick Douglass’ speech “What to the Slave is the Fourth of July?” to realize our differences of opinion. Add to this, the tension felt in the fact that symbols of the Confederacy, of those eleven states whose members chose to secede to remain slave- holding, are now being removed from government buildings and public spaces. Then, perhaps, you will understand that our pride in America is problematic. It would be easy to suggest that the current White House administration has created this distinction. However, if we are honest with ourselves, we can admit that this division has been there all along. In fact, it is a part of our nation’s history. The demonstration and defense of one’s pride in our nation has always be expressed in a myriad of ways to include unyielding resistance and undying support. For some, being “on the battlefield for my Lord” as the hymnist declared and fighting for my country have been synonymous. But, historically, divinizing one’s position while defending the country has meant killing in the name of God and for God’s kingdom on earth. However, blurring the lines between the two has produced some of history’s greatest atrocities. Unsure if “laying down one’s life for a friend” means going to war for him, some churches will struggle with how to honor those who served in the armed forces (John 15.13). But, any discussion about Memorial Day must acknowledge, wrestle with and find some compromise with these realities. In addition to those who have been negatively impacted by racialized expressions of nationalistic pride, there are who oppose war. The Just War theory, the belief that war is rarely justified, is the position of many Christians. This view has been supported by Christ’s command to “turn the other cheek” (Mark 5.39), his pacifist nature when confronted by the cross and his challenge to Peter to put away his sword (Matthew 26.52). Inspired by this passage or in support of the early church’s position, Tertullian wrote, “Only without the sword can the Christian wage war: for the Lord abolished the sword.” Yet, there is also the challenge to respond to injustice, to protect the marginalized and vulnerable people of our world. Like our varied expressions of patriotism, the recognition of those who have served and died in the armed forces will vary. For some churches, there is a separation between church and government, perhaps inspired by the exchange between Pilate and the religious leaders. They will not include a tribute to veterans, deeming it inappropriate or inapplicable for Sunday morning worship. They will praise God on Sunday and wave at the parade participants on Monday. For others, if no formal program, then an acknowledgement of veterans will be offered. They will be asked to stand and members will be invited to applaud them for their self-less service. Also, churches often use Memorial Day to honor church members who have died, offering tributes and services of remembrance for family and friends. But, there are others who see no conflict, recognizing that veterans have souls too and attend church on a regular basis. Consequently, these pastors will use the sermon as an opportunity to focus on the needs of veterans, highlighting disparities in access to healthcare and employment opportunities. They will challenge their congregations to address the issues of mental illness and homelessness that affect veterans at a disproportionate rate. Congregants will be invited to sing patriotic hymns and the service may include a special tribute. To be sure, war is a touchy subject. Persons have given their lives, their limbs and lost time with their family to ensure the freedoms that we enjoy and so often take for granted. There are families that have served for generations and feel it their solemn duty. Still, love of God and country should not be in competition. Instead, there should be a healthy distance between them. Because the American flag does not represent the God of all nations. Its primary colors should not be confused with the blood- stained banner of Christ. The song “My Country ‘Tis of Thee” speaks only of America when Christ died to save the world and could suggest that to be Christian is to be American. Besides, in a world that is growing increasingly diverse, we must be mindful of the messages we attach to the gospel of Jesus Christ. Perhaps, there is a reason why Memorial Day is celebrated on Monday.